Waterfront popular Abaco first level plan in award winning Harbour isle on Anna Maria Sound. There are three bedrooms three bathrooms large den/study great room dining area and sunroom. The sunroom kitchen and master bedroom all enjoy excellent views of Anna Maria Sound and the island. The gourmet kitchen is set up perfectly for entertaining with a large granite island granite backsplash upgraded appliances and solid wood cabinets. Custom features throughout the home include 8 1/4 crown molding motorized blinds in the sunroom and cafe custom closets in the master upgraded master bathroom upgraded HVAC with electronic air cleaner and a upgraded shower in the onsite bedroom. Top of the line porcelain tile throughout the home in a beautiful brick pattern. Move in ready in perfect condition! Thats not all there is a 24000 sq ft Beach club resort size heated pool spa sky bar restaurant. lifestyle director and large fitness center right on the Intracoastal. In the park across the street is a heated lap pool as well plus two additional pools fire pit walking/biking trails and kayaking. 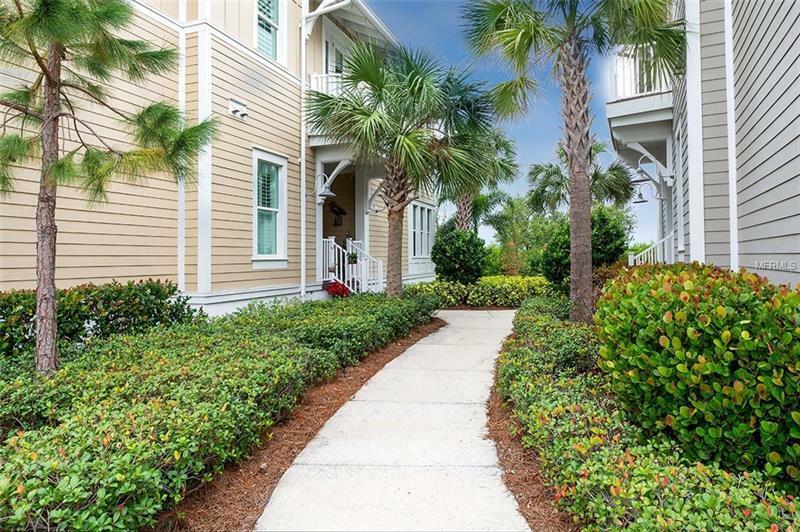 Only one mile from the sugary beaches of Anna Maria Island to the west and two miles east from Robinson preserve. That is not all a new marina just opened walking distance from the home so bring your boat! Enjoy the lifestyle from walking along the nature preserve swim in the heated pools workout in the fitness center enjoy the spa and finish your day at the sky bar enjoying a spectacular sunset!